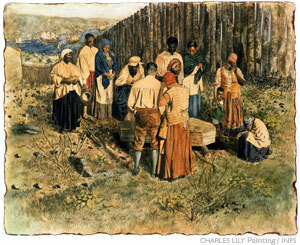 The above painting depicts a burial, late 17th or early 18th century, at the “Negroes Burial Ground,” now the African Burial Ground National Monument in Lower Manhattan. It shows the burial in a remote location surrounded by tall barricades that provide seclusion and privacy. The Bethel Burying Ground had none of this seclusion with possibly the exception of the first several years of its existence. For the vast majority of the 19th century, it was literally surrounded by tenements filled with the poor working class Irish that was the Black community’s sworn enemy. 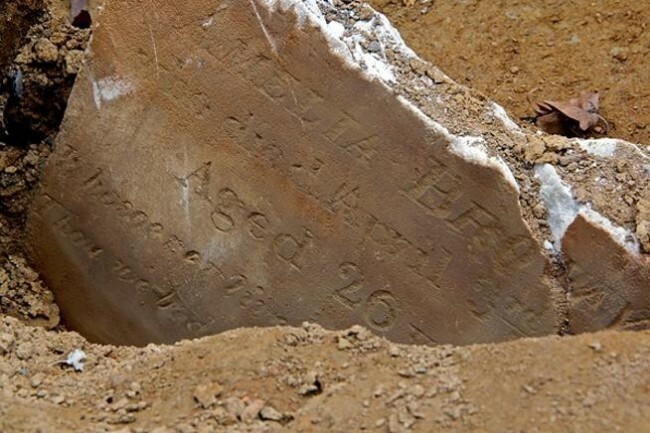 Given the violent and frightful nature of the relationship between the two ethnic groups it is baffling how the little burying ground remained active for 55 years (1810-65). Although I have not found one single newspaper report of vandalism or of an assault on mourners. 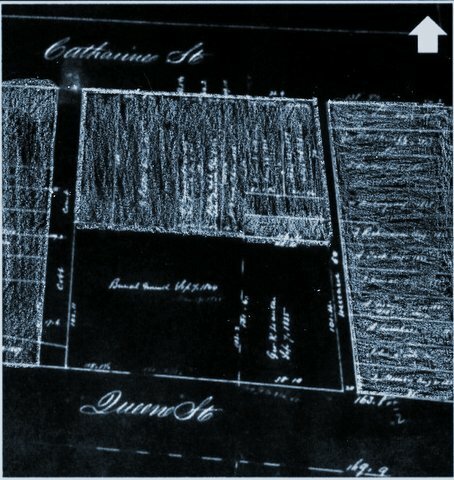 The above is part of an 1810 street map of the County of Philadelphia. It clearly shows the beginnings of the new cemetery and its sparse surroundings. 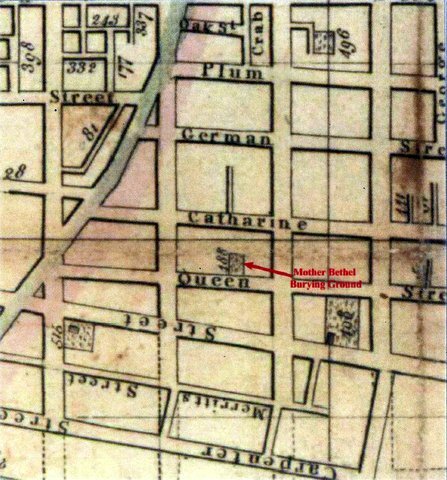 In contrast below is part of an 1825 street map that shows just how much the neighborhood changed in 15 years. The shaded areas are all tenements and rowhouses that encircle the Bethel Burying Ground. (1) Philadelphia Tribune, 10 October 1914 and North American, 2 August 1839. 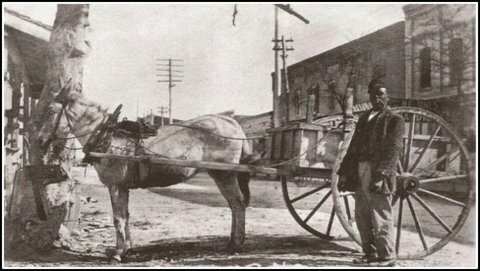 A Black drayman and his cart.